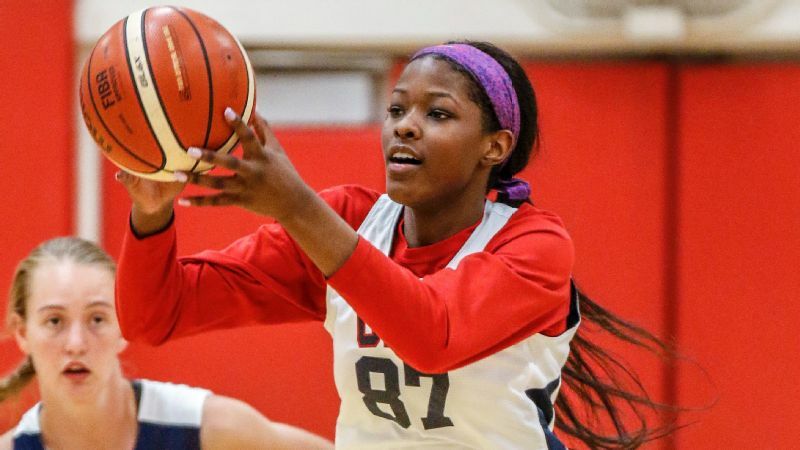 Rickea Jackson averaged 21.9 points and 10.8 rebounds last season for Detroit Edison. When Rickea Jackson gets some free time, Monique Brown's phone is the first to know. The alert usually comes in the form of a one-word text: "Gym?" Brown, the girls' basketball coach at Detroit Edison Public School Academy, has encouraged her players to reach out whenever they want to put up shots so she can open the school gym. Jackson took that offer and ran with it. The 6-foot-2 senior forward frequently pings Brown's phone at odd hours (2:30 a.m.) and days (Dec. 25). Last Christmas, before Santa's goodies had even been discovered, Brown got a call and picked Jackson up at 7 a.m. for a two-hour workout. "I got home just in time," Brown said. "My daughter [16-year-old Deja] was coming down the stairs to see her presents." Shaulana Wagner, one of Jackson's teammates, admires her friend's work ethic. "Rickea wants to be great," Wagner said. "And it doesn't matter to her what day it is." Jackson's sacrifices have paid off. The No. 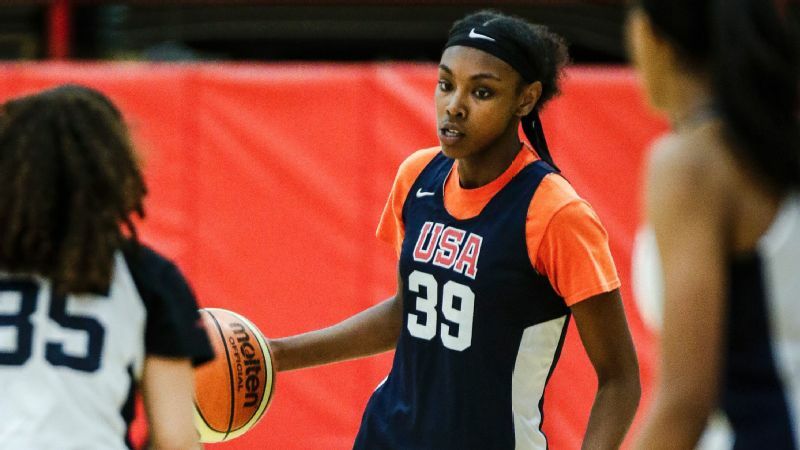 9 prospect in the espnW HoopGurlz Top 100 for the 2019 class is the reigning Michigan Gatorade Player of the Year and has led her team to two consecutive Class C state titles. 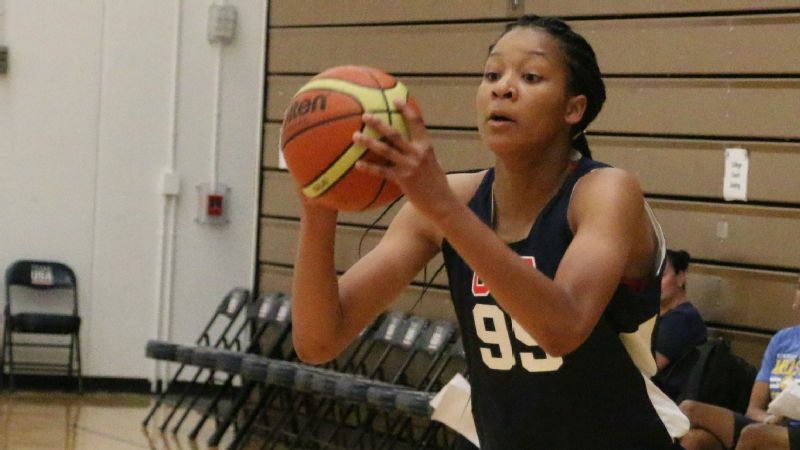 Last season, she averaged 21.9 points, 10.8 rebounds, 4.5 assists, 2.3 steals and 1.6 blocks as Detroit Edison finished 24-1. Jackson, whose first name is pronounced Ri-KEE-uh, totaled 41 points and 17 rebounds in the state semifinal and championship games. 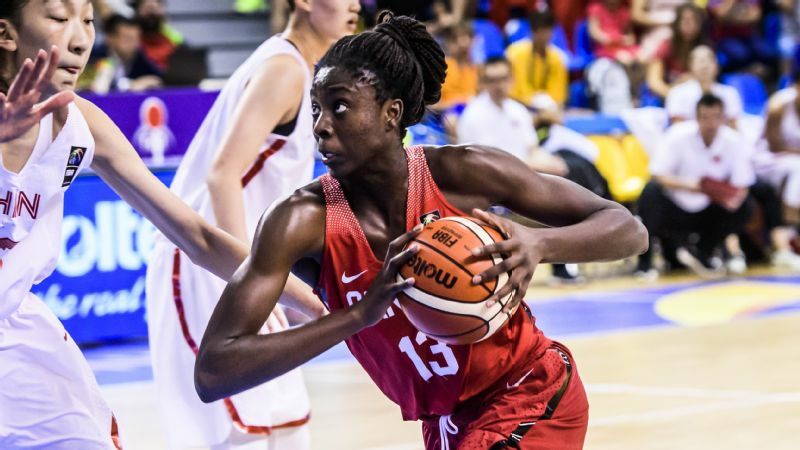 "Rickea may be the most versatile kid in the country," said AAU coach Bryce McKey, who worked with her this past summer with Sports City U. 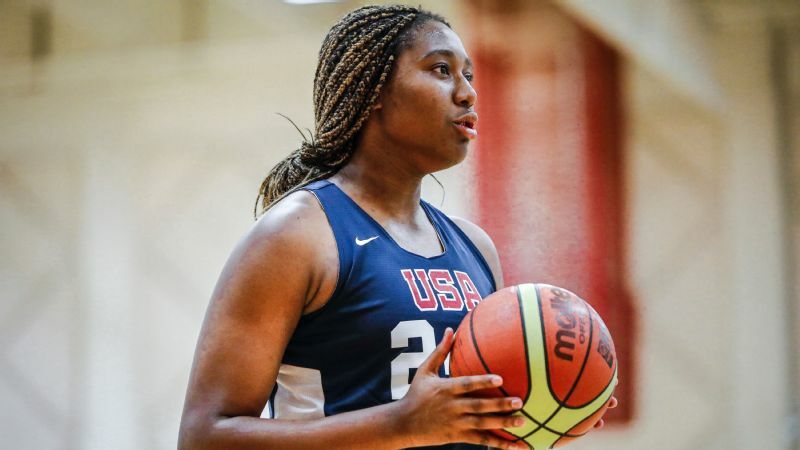 "She can shoot the 3 or score from the post, and her length allows her to guard multiple positions, which is going to ease her transition to college." Where Jackson ends up at college is still a mystery, but she has narrowed her list to Mississippi State, Rutgers and South Carolina. Schools that were previously under consideration include Louisville, Tennessee, Ohio State and Texas. 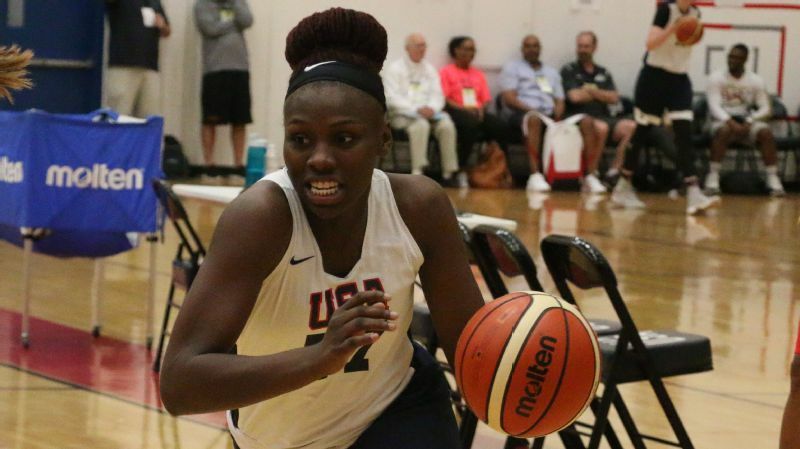 Jackson's mother, Caryn Jackson, was a talented basketball player in her day -- a 5-foot-10½ wing who played for the University of Kansas as a freshman before a car crash detoured her career. Caryn eventually recovered from a broken left wrist and injured back and resumed playing 18 months later, this time at Lansing (Michigan) Community College, where she helped the Stars win the 1995-96 national title. But Caryn, who by then had started a family with her now ex-husband, Rickey Jackson Sr., eventually gave up basketball, and she didn't try to force the game on Rickea, her third of four children and only daughter. But one day, while watching her little brother, Jordan, play basketball, Rickea -- who was 12 years old at the time -- ran into her mother's former high school coach, Virginia Lawrence. Rickea: "Did you really teach my mother how to play basketball?" Rickea: "Can you teach me to play?" The first lesson was to begin immediately. The only problem was that Rickea didn't have sneakers on. "I said, 'Give it to her, and I will buy you two pair.'" Once that negotiation ended with sneakers on Rickea's feet, Caryn -- who had been hoping this day would come -- gave her daughter a brief primer on the game. Until that point, Rickea had said she hated basketball. Now it was time for a crash course. "She would miss her shots. But the fact that she would shoot the ball with her left hand on her first day was where my excitement was coming from. I called her godmother and said, 'We have to build a team around her. She's got it!'" The freaky part for the family is that even though Rickea never saw her mother play college ball, on video, their playing styles are similar, Caryn says. "She knows how to bump you in the air to grab a rebound," she said. "When she blocks a shot, everyone in the gym knows. It's not a tip. It's a volleyball spike. And she can guard anyone from a point to a post." "Rickea likes offense more than her mom." 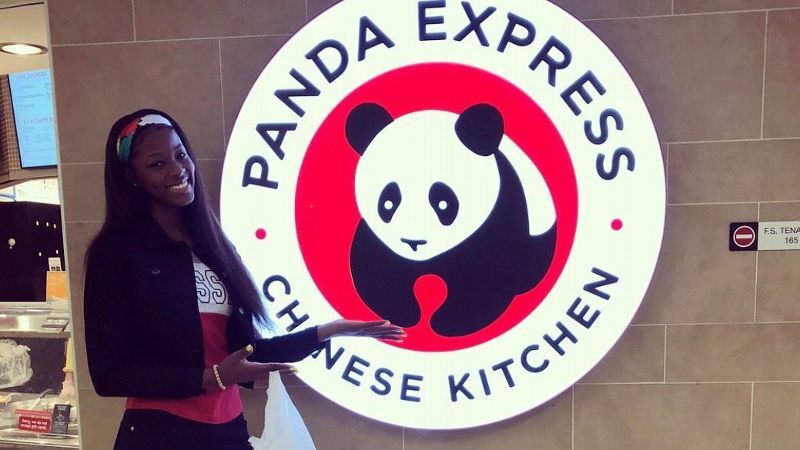 Rickea Jackson mostly binges on basketball workouts, but she's also awfully fond of Beijing beef and chow mein. Rickea Jackson admits that she has a habit of bingeing. When she likes something, she indulges -- a lot. Panda Express is the current object of her affection, particularly one dish: double Beijing beef and chow mein. That followed a breakup with the chili at Wendy's. "I hate it now because I ate it so much," she said. Rickea wants to be great. And it doesn't matter to her what day it is. Jackson's bingeing tendencies extend to her fashion sense. She has 30 bandanas, in every imaginable color, and her favorite shoes are Vans and Uggs. But Jackson, who has a 3.6 GPA and is interested in majoring in either broadcast communications or business, said her main form of bingeing is basketball practice. Lately, because her recruitment has been so intense, she hasn't called Brown for as many late night/early morning gym sessions. That will surely change after she signs. The target date is Nov. 14. "I already know I'm in trouble," Brown said with a laugh. "That week when she signs, she's going to try to catch up and binge-practice. "That is what's so special about her. In 16 years of coaching, I've never had a player who wants to be in the gym and get better as much as Rickea."